BVV Distillation Head - ON SALE! - FREE Shipping! 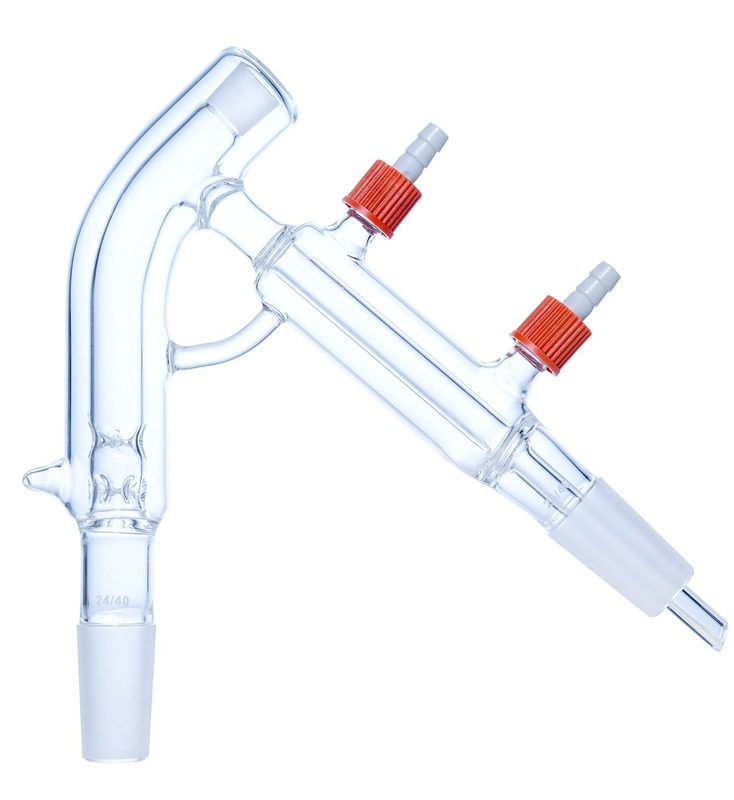 VV Brand Distillation head is made out of 3.3 Boro and comes with (2) 24/40 Ground Male Joints and a 14/20 Female thermometer joint at the top of the head. This head features 2x GL-14 barbs for the condenser and an extended drip tip for the receiving cow. The head measures 8.5" from the bottom 24/40 joint to the top of the head and the condenser is 3.5" long. The head has 2 sets of quad Vigreux and is bent at a 20-degree angle.